There are lots of choices when it comes to backing up or archiving your data and digital assets. While everyone’s needs are different and there is no one-size fits all solution, we took a look at the most common data storage devices used by consumers or professions for backup and archive. Here are some of the benefits and pitfall associated with them. External Hard Drive: When considering the price per GB, ease of use and ability to quickly restore files, it is no wonder this is the go-to backup solution for most people. I myself have at least 3 of these in my home office. What most people don’t realize when choosing a hard-drive only backup solution is that hard drives are not designed for longevity. While you may occasionally see a lifespan of up to 7 years, the average hard drive will fail in 3-5 years. If you don’t have a backup of your backup and/or a permanent archive of your data, it may be impossible or prohibitively expensive to recover your files when your hard drive fails. Another thing to consider is that your backup data really should be kept separate from your computer. In case of fire, theft or other disaster your hard-earned backup would most likely be rendered useless if left sitting on a hard drive right next to your computer. While most hard drives these days are portable and can easily be stored separately, the average user leaves their sole backup drive sitting right next to their computer. USB Flash Drive: While flash drives are generally much more expensive on a per GB basis, they share many of the same benefits as a traditional HDD solution; easy, quick to access and portable. Flash is also a great media for sharing or easily distributing data. However, flash also shares one of the biggest drawbacks of HDD which is longevity. Most reports estimate the lifespan of USB flash drive about the same as HDD, depending on use and storage environment. This number can vary greatly depending on the quality; it is important to stay away from cheap USB flash drives if using for backup. Re-writable CD/DVD: On a cost per GB basis CD or DVD can be an inexpensive storage solution since many people already have CD or DVD drives. The lifespan of a CD or DVD is generally longer than a hard drive or USB flash if you take care of the disc, and keep it free from scratches. You are also more likely store a disc offsite or away from your computer. The biggest drawback is the capacity. It also takes more work to burn a CD/DVD disc than it does to setup an automated backup to HDD and most people are not disciplined enough to manually manage their backups on a daily or weekly basis. Cloud Storage / Online Backup: On the surface online backup seems like the answer to all your backup concerns; inexpensive monthly payments (or even free if you don’t have much data), easy to setup and automate backups, offsite copies of your data managed by a 3rd party and access to your files from any web browser. Cost – while it is certainly possible to enjoy very inexpensive or even free online backup if you have a small amount of data, the cost can grow very quickly if you have large files such as videos, photo’s and music. And remember, this is a monthly or yearly rental fee; when compared to the average life of a hard drive or other backup solution this can really add up. 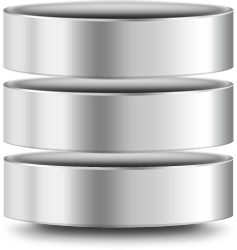 Bandwidth – probably the most overlooked issue today with online backup. The first problem is actually getting your data transferred to the provider. With the bandwidth available to the average consumer or small business, it could easily take 2 months or longer to simply upload a few hundred GB’s of data to an online backup provider. Restore – sure you can access your data, but how long does it actually take to restore? With the 250GB data cap limitation of most consumers, it could be impossible to fully restore if you need all of your files back at one time. Migration to another storage media or provider – how easy is it to move your data to another solution? Who owns your data? – what happens when you cancel your membership or can no longer afford the service. Does your data disappear? Is the provider really an online backup service or a provider of online sharing and collaboration tools? There is a difference. This is not a bash against online backup; this is clearly where the market is headed and some of the benefits may outweigh the disadvantages. 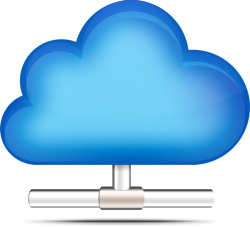 However there are still many roadblocks and pitfalls to consider before jumping into a cloud only backup solution. We will tackle many of these issues in future articles. RAID – RAID may win the battle in capacity and redundancy but can be expensive compared with other storage media options for consumers and small business. RAID systems also tend to be quite difficult to set up and manage, even for expert users or IT professionals. While RAID can be effectively used as part of a backup plan for large users and enterprises, it is not an ideal solution for the average user or for permanent archiving. Tape – While tape is often used as part of a backup plan for large enterprise, it is generally not cost effective for the average consumer, professional user or small business. With an estimated longevity of 7-10 years, tape is not ideal solution for long-term archiving. Longevity – a high quality blu-ray disc can provide 50-100 years archival life due to low sensitivity to light and a hard coat scratch resistant material protecting the data. Costs – the most cost effective option for long term storage or permanent archiving of data with media costs as low as $0.04 per GB. WORM media– (Write Once Read Many) media which is a necessity for a true archive or permanent storage. Quick random access – allows you to easily find and restore a single file or files in a large archive. Security – archiving to BD-R allows a secure, permanent copy of your data that can easily be stored in a safe or other offsite location. Ease of use – archiving to BD-R is even easier than burning a CD or DVD. 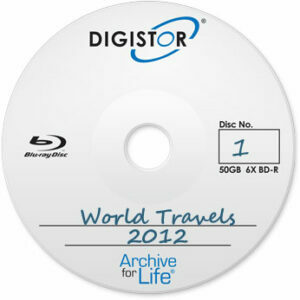 DIGISTOR’s REWIND archiving software is designed for the specific purpose of easily archiving all of your digital assets. This includes: Archive or Restore in 3 easy steps, endless archive across multiple discs, automatic scans and updates of archived folders or files, and the ability to use the software on both PC and Mac.